Kathy Russell is our VERY talented and accomplished Accompanist. Kathy Russell has her Bachelor's and Master's Degrees in Piano Performance from the University of Victoria, as well as many notable scholarships and awards. She has enjoyed great success at the piano, performing in Canada, the United States, and in Europe. 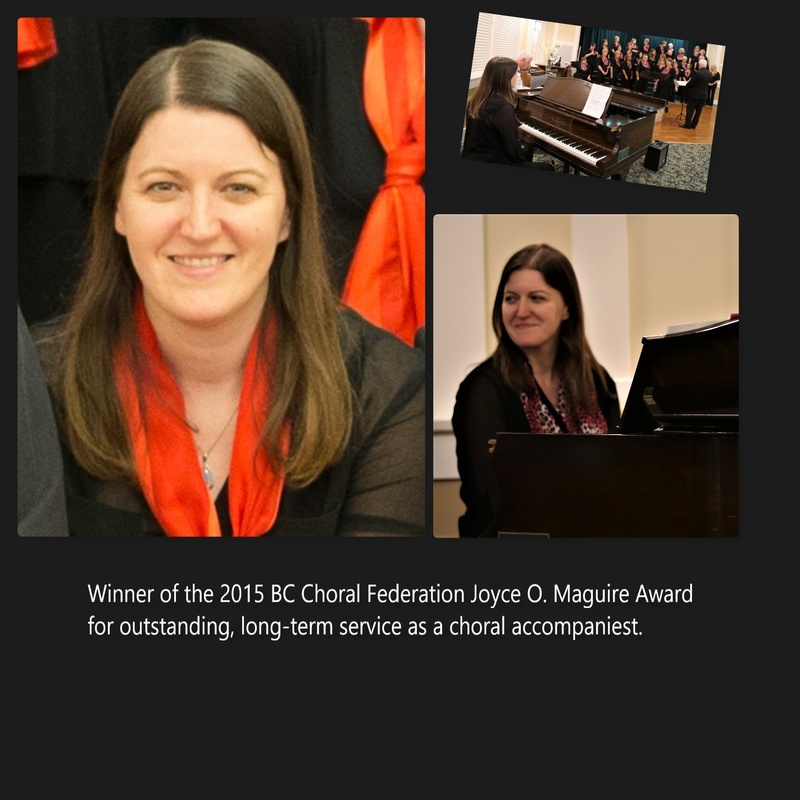 In 2015, Kathy was awarded for outstanding Choral Accompaniment by the BC Choral Federation. Kathy currently accompanies the Sooke Community Choir and the Avalon Singers. In 2009, Kathy opened her own piano studio – “The Painted Piano” which is now home to over 40 students of all ages. The Avalon Singers are truly blessed!